Unmanned aerial vehicles, popularly known as drones, are most often associated with airstrikes in modern warfare, but their history goes much further back than that. While drones came into the spotlight during the early years of the 21st century the idea of a remotely-operated flying machine was developed much earlier. A forerunner of what we consider today to be an unmanned aerial vehicle was an Austrian balloon used during the siege of Venice in 1849. The balloons were filled with explosives and launched from an Austrian ship anchored near Venice. The wind was intended to carry the balloons, which would be triggered by electromagnetism through a long copper wire. Due to unpredictable weather, the project was a limited success, but the idea remained suitable for further development. During WWI many eccentric weapons were developed on all sides of the conflict. 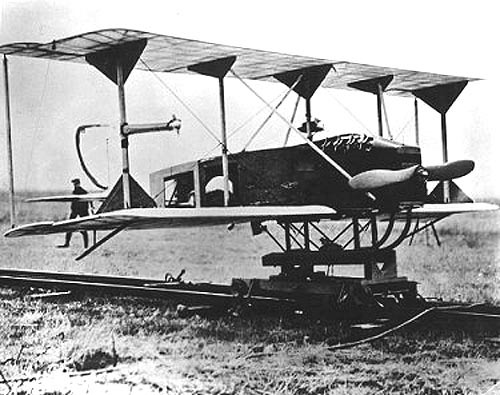 One was the pilotless aircraft that operated with the help of Archibald Low’s revolutionary radio controlled techniques. 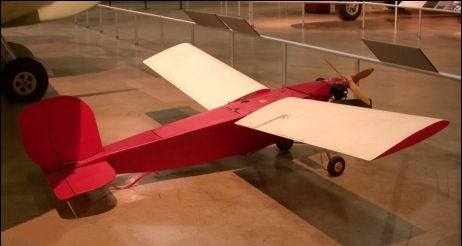 The Ruston Proctor Aerial Target represented the cutting edge of drone technology in 1916. Low, nicknamed “the father of radio guidance systems,” was happy for the project to be developed further and used in kamikaze-style ramming strikes against Zeppelins. Another project led the way for further research of UAVs. 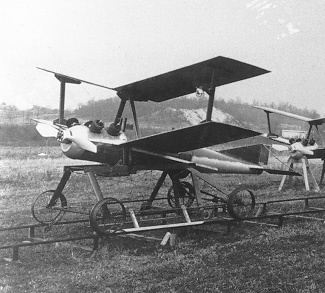 It was the Hewitt-Sperry Automatic Airplane, also known as the “Flying Bomb,” or the “Aerial Torpedo.” It went from Britain to the USA in 1917, resulting in an upgraded American version named the Kettering Bug. Although it was considered to be a large success, the war ended before it could be utilized. Cruise missiles, which perform under similar principles as unmanned aerial vehicles, are single use weapons. Drones are carriers and users of armament, or other equipment, depending on their given role. UAVs are intended to be recovered after a mission whereas once a cruise missile hits its target, it is gone. Under such parameters, the automatic airplane was more a predecessor of the cruise missile, than of the UAV. Considering the 20th century saw the parallel development of both weapons, it is almost impossible to separate their origins. RAE Larynx on cordite fired catapult of destroyer HMS Stronghold, July 1927. The man on the box is Dr. George Gardner, later Director of RAE. After WWI there was a lot of interest in producing and improving remote-controlled flying weapons. The US Army took the initiative in further exploring such concepts. 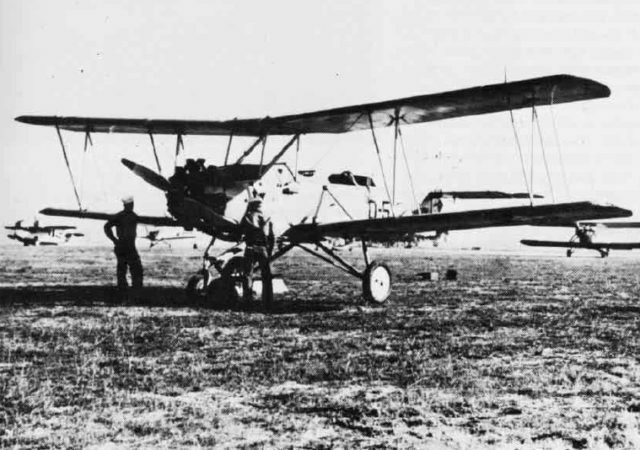 After the war, three Standard E-1 biplanes were converted into UAVs. 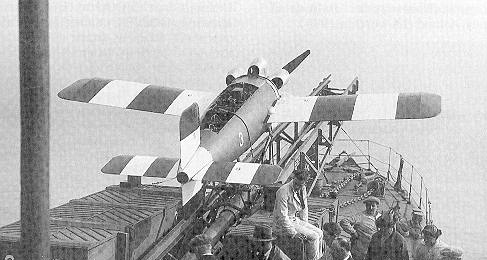 While the Americans were laying the groundwork for drones, the British Royal Navy conducted tests of aerial torpedo designs such as the RAE Larynx. In 1927 and 1929 the Larynx was launched from warships under autopilot. Pilotless aircraft were also made as aerial targets. Among the projects used for target practice was the “DH.82B Queen Bee”. It derived from the De Havilland Tiger Moth biplane trainer which was adapted to new radio technology. The name “Queen Bee” is considered to have introduced the term “drone” into general use. During the 1930s the term specifically referred to radio-controlled aerial targets. 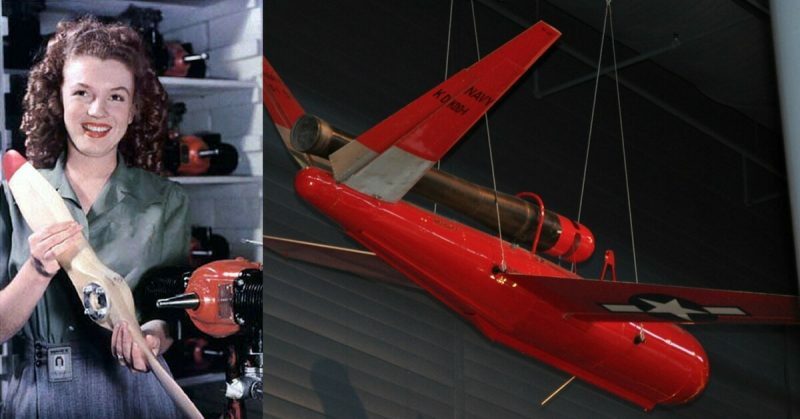 Once World War II broke out, it started to represent any remotely-controlled pilotless aerial vehicle. At the outbreak of WWII, an impressive figure rose to prominence in the field of radio control research. Reginald Denny went from England to the United States in 1919, intending to become an actor in Hollywood. He was talented, but besides his acting career, Reginald pursued another dream. Together with his partners, he opened Reginald Denny Industries and a shop that specialized in model planes, called the Reginald Denny Hobby Shops. The business evolved into the Radioplane Company, and Denny offered his target drones to the military. He believed the drones would be very useful, especially for training anti-aircraft crews. Denny and his company produced 15,000 target drones for the US army just before and during WWII. His most famous model was called Radioplane OQ-2. 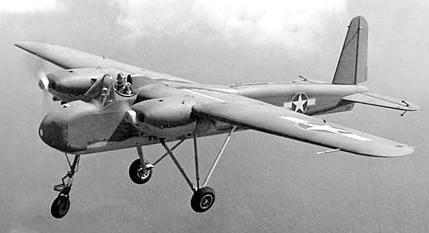 Around the same time, during the late 1930s, the US Navy developed the Curtiss N2C-2. This unmanned aerial vehicle was remotely controlled from another aircraft, which made the design revolutionary. The US Army Air Force (USAAF) also adopted this concept and started improving it. The primary use of the technology was still as target practice for AA gunmen. However, as America was preparing for war, the UAV experiments were being redirected for combat use. In 1940 the TDN-1 assault drone was capable of carrying a 1,000-pound bomb and was deemed fit for service. It was easy to produce and passed on tests. However, the drone was too hard to control, and as complications were expected once it entered combat conditions it never saw action. During Operation Aphrodite in 1944, some modified B-17 Flying Fortress and B-24 Liberator heavy bombers were used as enormous aerial torpedos, but they also failed to see wider service. They proved to be ineffective. One of the reasons why the concept was abandoned was the death of Joseph Kennedy Jr, brother of the future president, who died alongside his crewmember during one of the raids as part of Operation Aphrodite. The development of pulsejet engines enabled the Germans to produce the fearsome V-1 Flying Bomb which at the time represented the pinnacle of guided missile systems. The Americans also introduced the pulsejet engine during the war, but once again only to produce target drones like the Katydid TD2D/KDD/KDH. The real boom in the UAV industry was yet to come, during the troublesome years of the Cold War.